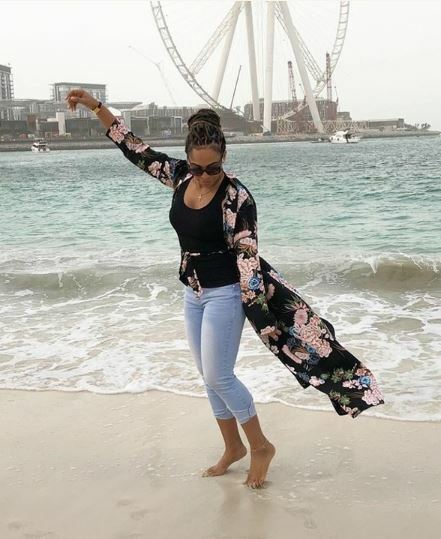 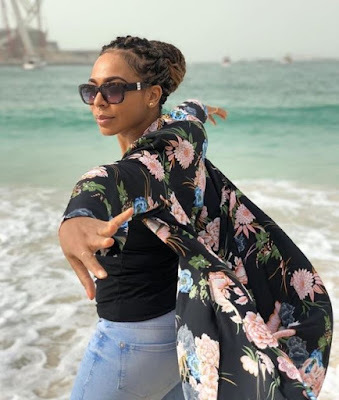 Tokunbo Idowu popularly known as Tboss who was one of the housemates in the 2017 edition of the Big Brother Naija reality television show shares adorable beach photos. 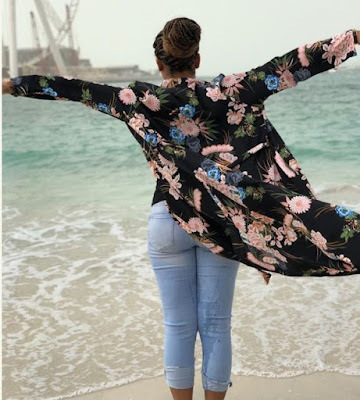 She rocks kimono print jacket with black camisole with a blue denim posing in styles. 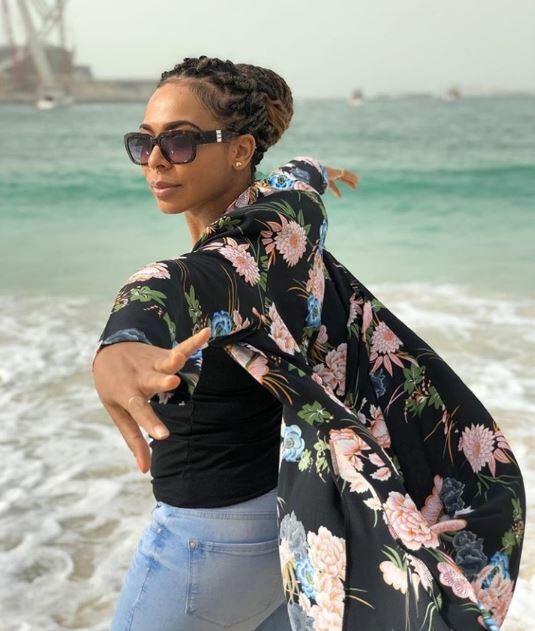 Tboss was one of the most controversial participants of the reality show which held in South Africa in 2017.